Mistake No. 1: Not specifying what information will be covered and for how long. 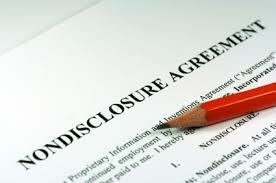 A non disclosure agreement should describe: (1) what type of information is being disclosed; (2) whether the NDA covers only written disclosures or also oral disclosures; (3) how will this information be disclosed; (4) how may this disclosed information be used by the recipient; and (5) how long will the recipient have to maintain the confidentiality of the information. A NDA missing one or more of these terms may cause problems between the parties when they actually begin to disclose confidential information to each other. Mistake No. 2: Not specifying when or how disputes related to the NDA will be determined. A good NDA will have a clause that will specify where and how any disputes related to the NDA will be resolved – whether it’s through mediation, arbitration or litigation. It should also specify what law will govern the agreement. Mistake No. 3: Not keeping an electronic copy of a signed NDA. It’s 2016 so this advice might seem painfully obvious. However, it happens more often than you would think – a hard copy of a signed NDA somehow disappears or “walks away” and nobody can find an electronic copy with all the signatures. To prevent this from happening, a company should always designate one person to be in charge of collecting all the necessary signatures and saving the NDA somewhere where it can be easily found should a problem arise. Any information shared under the NDA should be marked as “Confidential” or “Highly Confidential.” Many companies mistakenly believe that once a party signed a non disclosure agreement, they are automatically protected. That is not the case. Failing to designate all shared information as confidential may lead to future disputes as to whether certain data or information was meant to be confidential. 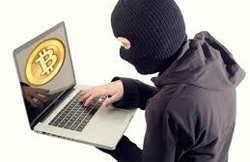 Moreover, should a problem arise with the NDA agreement, such as a missing signature, the confidentiality stamp will provide a back-up protection. Mistake No. 5: Not limiting the scope of what you are disclosing to the party who signed the NDA. A party should always limit the scope of what it is disclosing to only that which is absolutely necessary for the other party to know related to the purpose of the NDA. The costs of enforcing or attempting to enforce an NDA may be significant, so limiting the disclosure of information may help a party avoid the risk and expense of litigation. 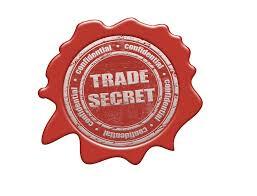 What are trade secrets and how they are regulated depends largely on what state your business is operating in. Currently, each state has it own statute and/or body of law that defines what is a “trade secret” and what legal remedies the owner of a trade secret may pursue if such trade secrets are taken or misappropriated from him or her. In Texas, trade secrets are governed by the Texas Uniform Trade Secrets Act (TUTSA), which came into effect on September 1, 2013. TUTSA defines “trade secrets” as “information,” that “derives independent economic value, actual or potential, from not being generally known to, and not being readily ascertainable by proper means by, other persons who can obtain economic value from its disclosure or use” AND “is the subject of efforts that are reasonable under the circumstances to maintain its secrecy.” Thus, any information that has economic value – either actual or potential – and that the owner has reasonably attempted to keep secret, could constitute a “trade secret” under TUTSA. Moreover, as defined by the statute, “trade secrets” may include information that its owner has not yet had an opportunity to use or information that the owner is no longer using (as long as it still has actual or potential economic value). “Trade secrets” also include information that has commercial value from a negative viewpoint, such as the results of lengthy and expensive research which proves that a certain process will not work. See UTSA § 1 cmt. Whether the information is considered “secret” is determined by whether a party undertook “reasonable efforts to maintain the secrecy of such information,” rather than the difficulty with which such information could be acquired. The standard allows a fact finder to consider the nature of the trade secret and the facts and circumstances surrounding the efforts to maintain its secrecy in order to determine whether these efforts were reasonable under the circumstances. To learn more about other provisions of TUTSA, see my previous post here. If you are facing a trade secret misappropriation claim or are suspecting that a theft of trade secrets occurred at your company, contact Leiza Dolghih at Leiza.Dolghih@GodwinLewis.com. Three years ago, Texas enacted its own anti-SLAPP statute, appropriately titled the Texas Citizens Participation Act (TCPA). 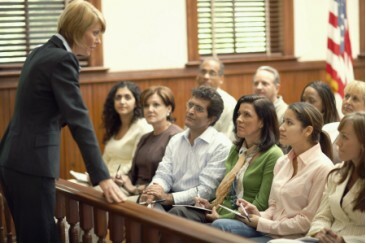 Since then, many defendants have taken advantage of the TCPA‘s quick dismissal procedure when confronted with suits for defamation, business disparagement, or other claims arising out of the defendants’ exercise of their right of free speech, right to petition, and right to association. Because the statute is so new, however, many of the issues surrounding its application in Texas have not yet percolated through the appellate level, which makes the Fifth Circuit Court of Appeals‘ analysis of the “commercial speech” exemption under the TCPA last week in NCDR, L.L.C., et al. v. Mauze & Bagby, P.L.L.C. particularly important. NCDR, LLC d/b/a Kool Smiles is a national chain of dental clinics. Mauze & Bagby is a personal injury law firm in San Antonio, Texas. In 2012, the law firm began an advertising campaign seeking to represent former Kool Smiles patients in a lawsuit against the chain. As part of this campaign, M&B ran television, radio, and internet advertisements, and developed a website that strongly implied, or even accused, Kool Smiles of performing unnecessary and/or harmful dental work on children to obtain government reimbursements. Kool Smiles sued M&B, asserting, among other claims, business disparagement, defamation, and injury to business reputation. The law firm moved to dismiss the suit under the TCPA arguing that its campaign was a protected expression of free speech. However, both the trial court and the Fifth Circuit Court of Appeals found that M&B was not entitled to the protection afforded by the TCPA because its advertisements were commercial speech. The purpose of the TCPA is to protect the right of people “to petition, speak freely, associate freely, and otherwise participate in government to the maximum extent permitted by law and, at the same time, protect the rights of a person to file meritorious lawsuits for demonstrable injury.” Tex. Civ. Prac. & Rem. Code Ann. § 27.002. To achieve this, the TCPA provides that if a legal action is based on, relates to, or is in response to a party’s exercise of the right of free speech, right to petition, or right of association, the defendant may file a motion to dismiss the lawsuit within sixty days of being served with the complaint. Id. § 27.003(a). Only very limited discovery is allowed until the court rules on the motion to dismiss. Id. The TCPA requires the court to dismiss the lawsuit if the defendant shows by a preponderance of the evidence that the legal action is based on, relates to, or is in response to the party’s exercise of the right of free speech, right to petition, or right of association. Id. § 27.005(a)–(b). In order to avoid the dismissal, the plaintiff must establish by clear and specific evidence a prima facie case for each essential element of each claim. Id. § 27.005(c).
. . . a legal action [was] brought against a person primarily engaged in the business of selling or leasing goods or services, [and] the statement or conduct arises out of the sale or lease of goods, services, or an insurance product or a commercial transaction in which the intended audience is an actual or potential buyer or customer. Tex. Civ. Prac. & Rem. Code Ann. § 27.010(b). The Fifth Circuit looked at four cases decided by the Texas Courts of Appeals that addressed the commercial speech exemption. Two addressed whether a defendant’s action “arises out of the sale or lease of goods, services, or an insurance product.” The other two address whether the intended audience is “an actual or potential buyer or customer.” In all four cases, the courts of appeals found that the commercial speech exemption did not apply. In Newspaper Holdings, Inc. v. Crazy Hotel Assisted Living, Ltd., the First Court of Appeals held that the newspaper articles exposing compliance problems at Crazy Hotel and published by Newspaper Holdings did not “arise out of the sale of the goods and services” that the newspaper sold – newspapers. The commercial speech exemption, therefore, did not apply and the Court granted the newspaper’s motion to dismiss under the TCPA. In Better Business Bureau of Metropolitan Dallas, Inc. v. BH DFW, Inc. and Better Business Bureau of Metropolitan Dallas, Inc. v. John Moore Servs., decided by the Fifth and First Courts of Appeals respectively, the low business ratings doled out by the BBB to plaintiffs were found not to constitute “commercial speech” under the TCPA because they were intended for the general public, not for businesses who sought accreditation from BBB and who were BBB’s customers. After analyzing the above-listed cases, the Fifth Circuit Court of Appeals ruled that this case was different and that M&B’s statements made in the advertising materials constituted commercial speech because they: (1) arose out of the sale of M&B’s legal services, and (2) were intended for M&B’s potential customers – people who had used Kool Smiles’ services and who wanted to file a lawsuit against them. The Texas Citizens Participation Act is still very new and the case law interpreting the statute is still developing. However, the NCDR decision strongly suggests that any business advertisements directed at the current or potential clients are not protected by the TCPA. Thus, a business whose advertisements contains negative statements about another business or individual should consider the possibility that it will not be able to use the TCPA to quickly dismiss a defamation or a business disparagement lawsuit arising out of such statements if one is filed. 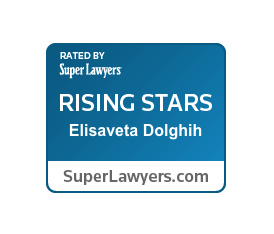 For more information regarding defamation and business disparagement claims in Texas, contact Leiza Dolghih. While the Fifth Circuit Court of Appeals‘ analysis of the TCPA is not binding on the Texas state courts per se, it is instructive since the Court must “interpret the state statute the way the state supreme court would, based on prior precedent, legislation, and relevant commentary.” Since the Texas Supreme Court has not yet interpreted the TCPA, the Fifth Circuit‘s analysis of the “commercial speech” exemption is the next best thing. It is not uncommon for employers to include a non-compete/non-solicitation (NCNS) covenant in their benefit plans or stock option agreements. Either agreement can then make the payments due to the employee conditional upon his or her compliance with the NCNS. In those cases where the payments are scheduled to be made after the employee leaves, such arrangement provides an extra incentive for the employee to comply with the NCNS covenant. The employers that chose to follow this route, however, need to be aware that a payment made to an employee pursuant to a benefit plan or a stock option agreement after the employer discovers that the employee is violating his or her NCNS, can waive employer’s rights to later enforce the NCNS in court. While the Participant is employed by the Company or a Subsidiary, and during the 2-year period immediately following the date of any termination of the Participant’s employment with the Company or a Subsidiary, such Participant shall not at any time, directly or indirectly, whether on behalf of . . . herself or any other person or entity (i) solicit any client and/or customer of the Company or any Subsidiary with respect to a Competitive Activity or (ii) solicit or employ any employee of the Company or any Subsidiary, or any person who was an employee of the Company or any subsidiary during the 60-day period immediately prior to the Participant’s termination, for the purpose of causing such employee to terminate his or her employment with the Company or such Subsidiary. After sending the letter and after four more Ally’s employees went to work for Homeward, Ally paid Gutierrez her next payment due under the CIP. When even more employees left, Ally filed a lawsuit against Gutierrez and Homeward and alleged claims for unfair competition, tortious interference with contractual relations, tortious interference with employment relations, conspiracy, and misappropriation of trade secrets. Gutierrez and Homeward argued that the covenant was unenforceable as overly broad and unrelated to Ally’s business and, in the alternative, that Ally waived its right to seek its enforcement. The trial court granted defendants’ motion for summary judgment on the grounds of waiver and the Second Court of Appeals affirmed. According to the Court of Appeals‘ reasoning, the warning letter from Ally demonstrated that Ally was aware at the time it made the payment to Gutierrez that she was allegedly violating the non-solicitation covenant contained in the CIP. By making the payment, Ally “represented to Gutierrez that although it believed she had violated the CIP and had forfeited her rights to all unvested payments by voluntarily resigning, it was awarding her incentive compensation as provided by the CIP.” Making such payment, therefore, was inconsistent with Ally’s previously stated intention to enforce the non-solicitation covenant and with the terms of the CIP and was more than a ministerial act. CONCLUSION: There are two practical lessons that employers can derive from this case. First, when dealing with departing employees who are due any sort of payments after their employment is terminated, the companies should make sure that the department responsible for payments and the legal department coordinate with each other. It is entirely possible that in Ally’s case the department making the payment was not aware of the warning letter sent to Gutierrez. Second, while sending a cease and desist letter to a departed employee does not necessarily require involvement of a law firm or an in-house attorney (although it certainly gives it more clout), any actions that a business takes after sending a cease and desist letter should involve legal counsel to make sure that such actions will not negatively impact the employer’s case should she or he decide to sue the departing employee. Although the CIP was governed by Michigan law, the Court of Appeals held that Texas and Michigan law were “functionally the same” on the issue of non-compete covenants and waivers, therefore, it did not need to decide which law applied to this dispute.